My parents' yard on Cape Cod attracts tons of awesome creatures and while I'm visiting I spend a lot of time wandering their property looking at things. I'll break it down for you. 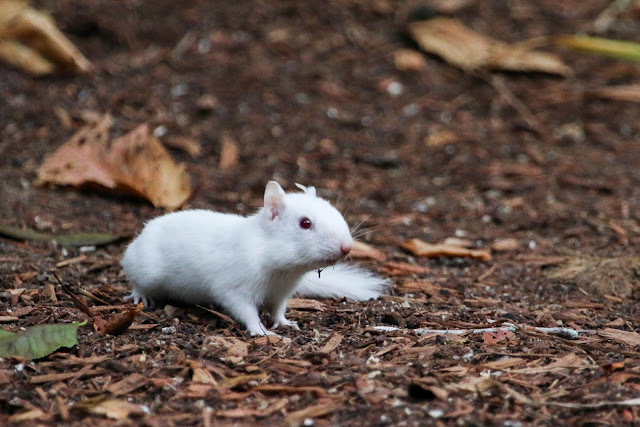 Their most famous mammal this summer has been an albino chipmunk they first noticed in June. How this critter has managed to stay alive I have no idea.